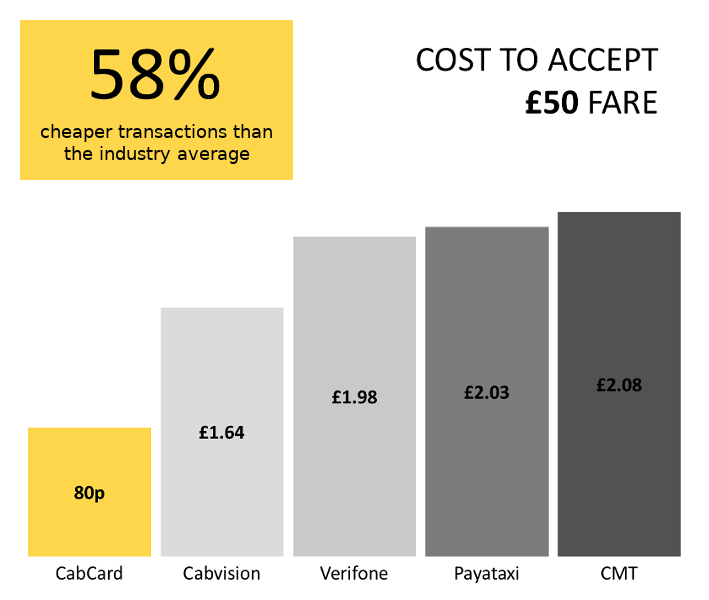 just 1.5%* + 5p per transaction. We will send your terminal by next day delivery, fully set up and ready to use. You will also get access our online payment system and amazing customer service. You can immediately accept payments from Visa, Mastercard, American Express, Apple Pay and Google Pay. Offer receipts and accept tips with your terminal easily. Access your money 24/7 online and get paid to your local bank or prepaid card directly. You can schedule your payments to arrive daily, or weekly. Other providers will charge you 3% to 5% per card transaction to accept card payments. We guarantee you a flat 1.5%* + 5p rate for your transactions, and you can join with no upfront cost! Track your money with our online tools. 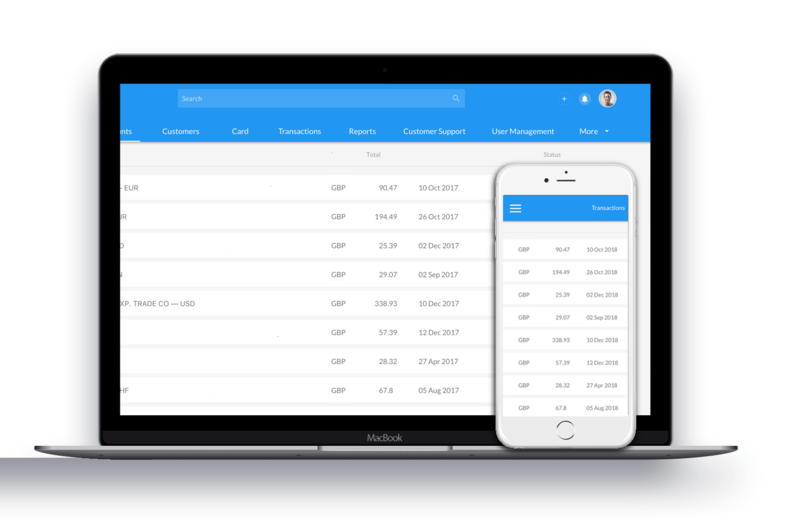 Your personal online portal lets you see all your transactions, and your next scheduled payment due to your bank or prepaid card. You can add multiple users, generate reports and much more. We've been serving taxi drivers since 2006 and helping them to improve their services. Our terminal uses the latest GPRS technology so you can accept payments anywhere. We are proud to the excellence of our customer service team, you can reach them anytime. 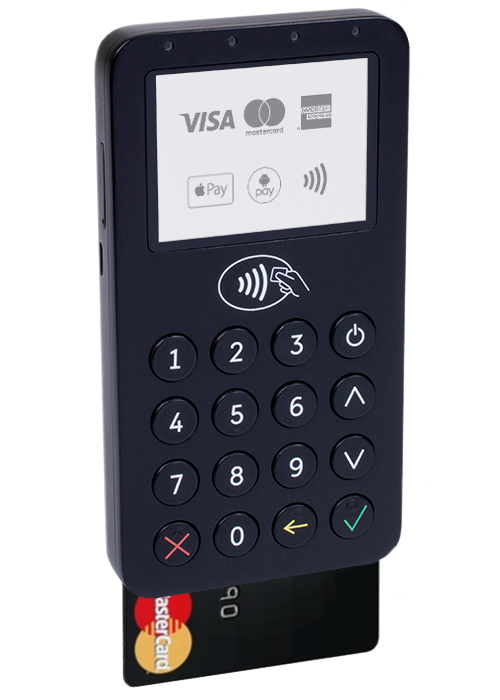 We offer a choice of two sleek, modern payment terminals, with flexible pricing to suit you. 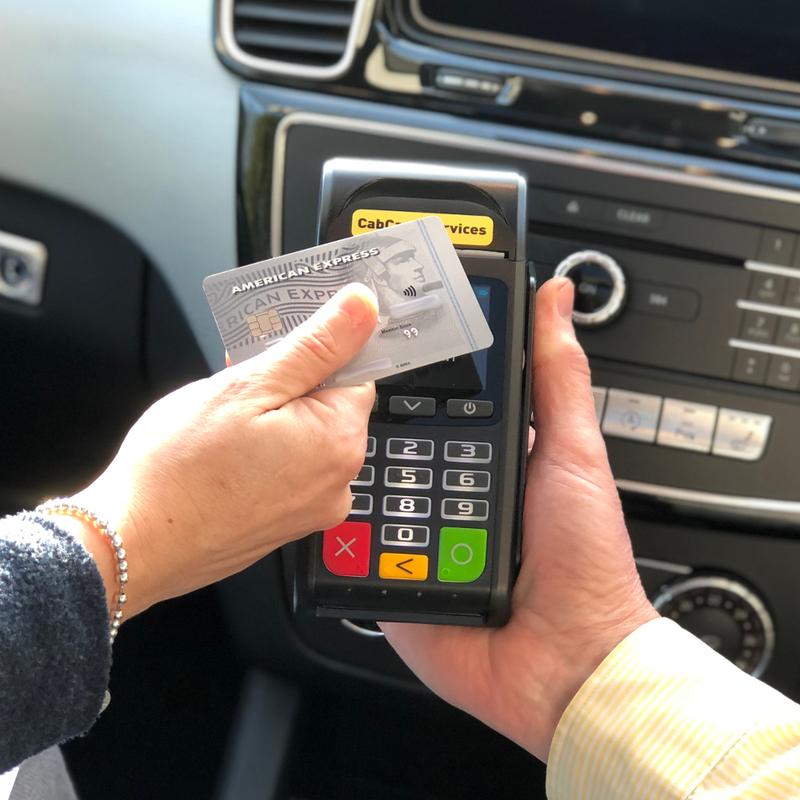 A firm favourite with our customers, this state-of-the-art terminal is brand new for 2019 and is ideal for in-vehicle payments. Featuring a fast GPRS mobile network connection and a full-colour touchscreen, this device is only the size of a mobile phone and can go anywhere you go. Electronic receipts are provided by email, or you can choose to purchase a companion receipt printer if preferred. Long battery life, convenient USB-C charging connection. 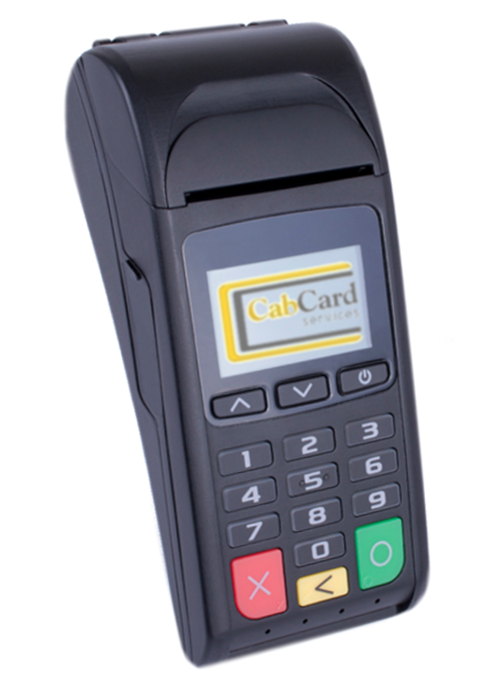 Our classic payment terminal, this is a great in-vehicle device which can also be used in your taxi office. Equipped with a built-in printer for receipts, this device connects securely via GPRS mobile connection and is also available with WiFi. With a large colour screen and a traditional form-factor, this is a versatile and reliable device. All scheduled payouts are subject to a minimum balance of £25. Processing rate applies to Visa & MasterCard payments only. Some exceptions apply to certain types of cards, please see terms and conditions for details. A postage charge may be payable for delivery of your terminal. Plans with no minimum term contract incur an annual SIM airtime charge of £25 after first 12 months. Plans with no minimum term contract include a 12 month warranty for equipment. This can be optionally extended at an annual cost of £40. All plans are billed on a monthly basis. Chip & PIN and contactless (includes Apple / Android Pay). We've worked hard to ensure our customers get the best possible deal. Automated payouts to your bank account (via Faster Payments) or prepaid card. Our support team is just a phone call away, and always keen to help. Network roaming SIM for optimal coverage througout the UK. Manage your money from any device, any time, using our online portal. We offer cutting-edge technology services for fleet operators and taxi associations. Our enterprise-level solutions are all bespoke, and flexible to suit your needs. Whether you have a handful of drivers or several thousand, we can help you deliver a great passenger experience and save money too. Join CabCard today — we'll welcome you on board.